1 New England Ancestors Magazine, 2007, Vol. 8.5, p. 40, New England Historic Genealogical Society (Online Database). 2 Dwight, Benjamin W., The History of the Descendants of Elder John Strong, of Northampton, Mass., Vol. 2, Albany, New York: Joel Munsell (1871), 769, Google Books (Digital Library). 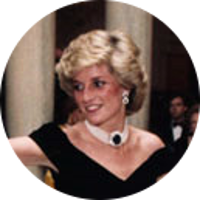 3 Evans, Richard K., The Ancestry of Diana, Princess of Wales , Boston: New England Historic Genealogical Society (2007), 215. 4 Ferris, Mary Walton, Dawes-Gates Ancestral Lines: A Memorial Volume Containing the American Ancestry of Rufus R. Dawes, Milwaukee, Wisconsin: Wisconsin Cuneo Press (1931), Vol. 2, pp. 844, 848-849, Ancestry.com (Online Database). 5 Frost, Josephine C., Ancestors of Henry Ward Beecher and His Wife Eunice White Bullard, Unknown: Unknown (1927), 119-120, FamilySearch.org (Online Database). 6 Roberts, Gary Boyd, Notable Kin, Volume 1 , Santa Clarita, California: Carl Boyer, 3rd (1998), 175. 7 Roberts, Gary Boyd and William Addams Reitwiesner, American Ancestors and Cousins of The Princess of Wales, Baltimore: Genealogical Publishing Co., Inc. (1984), 29, Ancestry.com (Online Database).